There’s something special about the cameraderie enjoyed by musicians! 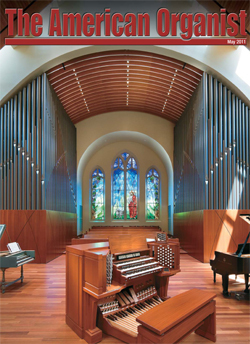 Joining the AGO comes with many benefits: fellowship, workshops, networking, and the magazine published by the national office – The American Organist. Our membership includes musicians from a wide variety of denominations, religions, and with varying degress of musical ability. Username is the first initial of your first name and then your full last name. Password is your 4 or 5 digit Nation AGO ID number which can be found on your most recent copy of TAO (The American Organist) next to the date. To renew as a "Chapter Friend" please send a check for $20 to our treasurer Ray McDonald with "Chapter Friend" in the memo. If you have any questions, please let us know and we will do our best to assist you.